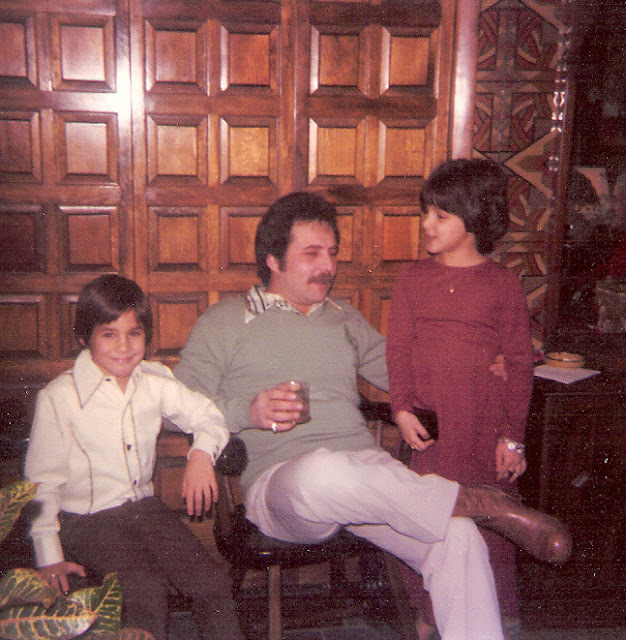 This is a photo of my brother, my father, and me at my aunt's wedding in October 1974. I was 7 years old, sporting my Dorothy Hamill haircut. I'm also wearing a solid 14 karat gold heart necklace that I received for being a flower girl. I still have that necklace. Today would have been my father's 76th birthday. Boy, do I miss him.